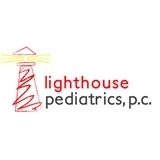 Lighthouse Pediatrics (New York) - Book Appointment Online! On April 2016, the National Committee for Quality Assurance (NCQA) announced that Lighthouse Pediatrics, PC has received recognition from the Patient-Centered Medical Home (PCMH) program for using evidence-based, patient-centered processes that focus on highly coordinated care and long-term participative relationships. Lighthouse Pediatrics, PC is recognized at Level 3 of the program, the highest achievable level. The program's standards emphasize enhanced care through patient-clinician partnership. This office is great! Scarlett loves going there!